The emerging global bioeconomy presents an opportunity for Nova Scotia’s bioresource sector. 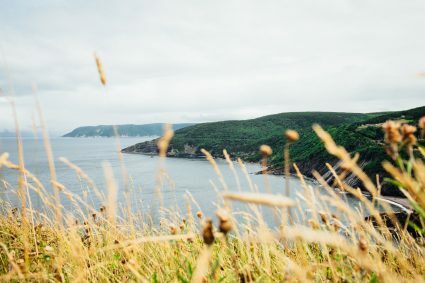 With a natural bounty of renewable resources from forests, lands, and oceans, and new leading-edge technologies adopted to extract value from municipal solid waste streams, Nova Scotia is well positioned to lead in providing low-carbon solutions. The Nova Scotia Innovation Hub has been formed to support the growth of this emerging sector. Industry, Government, and Academia come together in the Hub to foster investment ready conditions in the province, to attract industrial investors, and provide support to facilitate the growth of a cluster of bio-based businesses. BioApplied has been engaged by the Nova Scotia Innovation Hub to build and manage Hub processes. Rod Badcock, Principal Partner of BioApplied manages the team for technical oversight, project selection and support, as well as monitoring new technologies, investment attraction activities, and interfacing with prospective investors and the Hub’s Board of Directors. Our objective is to align all the elements to provide a compelling place for ‘steel in the ground’ projects. The Nova Scotia Innovation Hub is fully allied and ready to make this happen. We are open to new ideas and encourage you to submit your thoughts or inquiries through the inquiry form or email link on the Contact Us page.